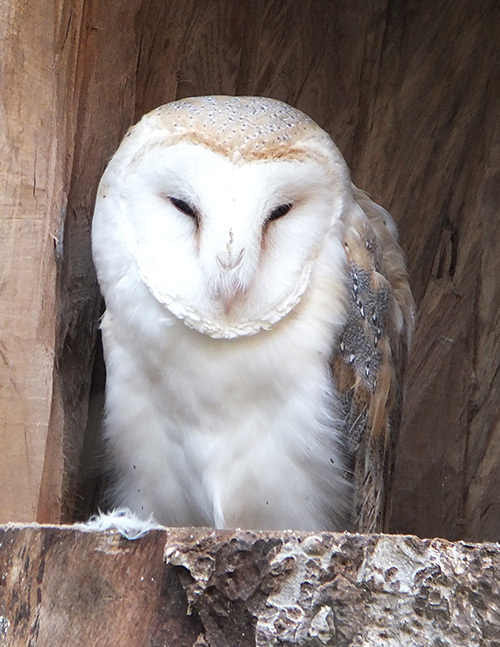 Description: A white, heart-shaped face edged with brown and small dark eyes make the barn owl easily identifiable. Their call is a hissing shriek. They range considerably in size among the various sub species around the world with an average length of 33-39cm (13-15in) and wingspan of 80-95cm (31-37in). 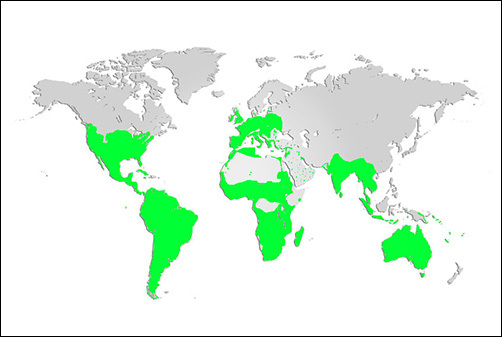 Distribution and Habitat: Found on all continents the barn owl is one of the most widespread birds in the world. They prefer temperate climates and avoid mountains, deserts, dense rainforests, and severe cold. Often found in open areas including marshes, grasslands, and the edges of forests. Diet: Carnivores, the barn owl hunts at night and feeds primarily on small rodents such as voles, shrews, and rabbits. Barn owls may also eat frogs, lizards, and insects. Life Cycle: Monogamous pairs mate for life and the female lays a clutch of about 5 eggs and incubates them for about 30 days. The male of the pair provides food for the female during laying and incubation and for both the female and chicks for 4 weeks after hatching. They fledge at about 9 weeks and by 13 weeks are able to hunt for themselves. Did you know? They can capture prey in complete darkness!